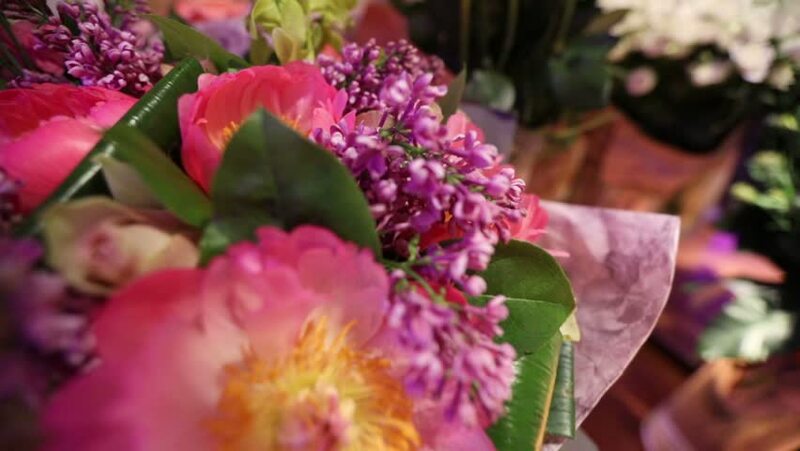 4k00:11Professional woman florist makes the bouquet from pink flowers tulips, roses, orchids and solidago. 4k00:11Florist at work. Pretty young woman making fashion modern bouquet of different flowers. hd00:19Multi-colored bouquets of flowers in motion. Beautiful floral composition on a moving showcase. 4k00:20Beautiful young girl with an attractive appearance, adorable look, curly hairstyle, scarf and autumn coat in the city. Amazing view of business lady with a cup of coffee walking down the city street.